Constellation Software Inc. of Toronto, Ontario, announced June 1 that it completed — through its wholly-owned subsidiary Constellation Homebuilders Systems (“CHS”) — the acquisition of the shares of Paulson Computer Systems. This acquisition is another example of Constellation’s dedication to the dealership vertical and its long-term approach to providing mission-critical technology solutions and services for dealerships of all sizes. This is the fourth acquisition of Constellation’s Dealership Software group, which also includes Integrated Dealership Systems “IDS,” Ideal Computer Systems and Constellation Automotive Systems. “The acquisition of Paulson helps solidify our position in the marine and outdoor power segments,” said Daniel Zinman, general manager of Constellation Dealership Software. “We will continue to invest in products and services to maintain our long-term commitment to our dealership customers. We welcome the customers and employees of Paulson to the Constellation family.” As one of the largest software companies dedicated to dealerships, Constellation continues to provide excellent support and services to help our customers successfully run their business now and in the future. 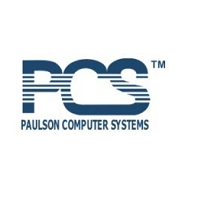 Paulson Computer Systems is a leading provider of dealership management software systems to the Marine and Outdoor Power Equipment, based in Fife, Wash. Paulson has been providing professional business management systems to dealerships since 1981.